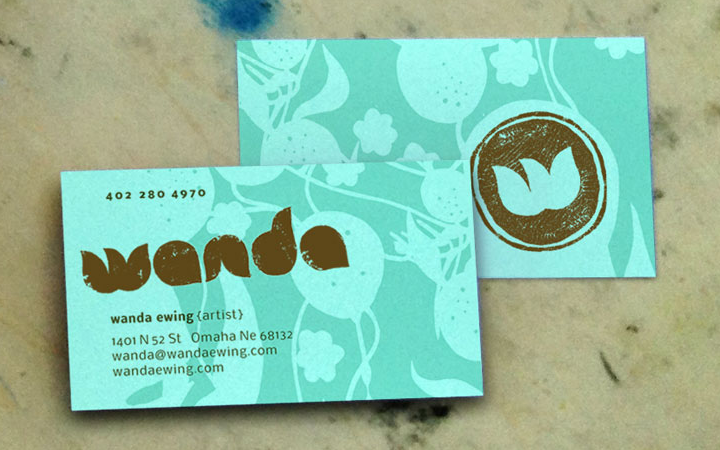 An artist's brand identity reflects her bold style. A provocative artist gets a brand to match. 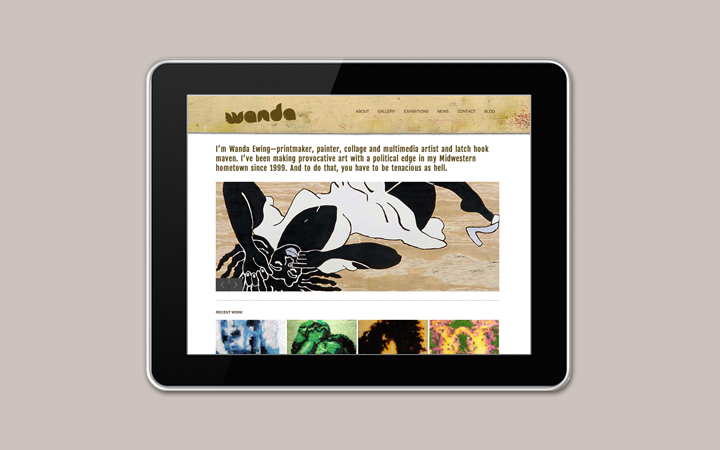 Wanda Ewing was a printmaker, painter, collage and multimedia artist and latch hook maven. We created a brand as unique, beautiful and stimulating as her art. 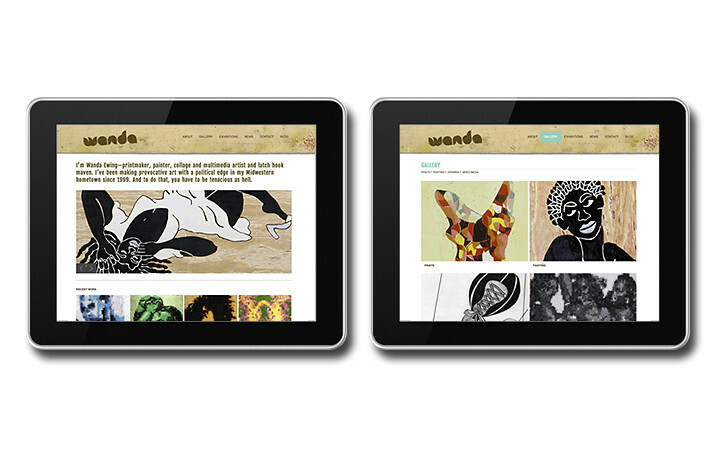 Wanda needed a new identity and website to better reflect her personal style and to help her stand out in the professional art world. She needed to reorganize her work so that galleries and art enthusiasts could easily find the work that most interested them. Increasing the number of exhibitions was a major goal. 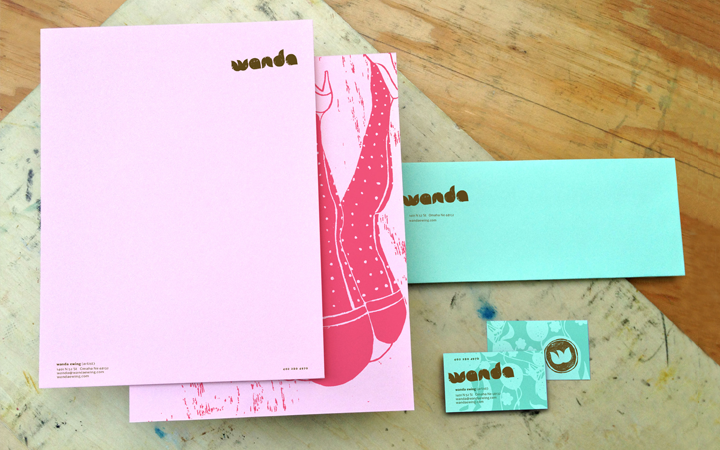 We loved Wanda’s “all out there” style and wanted her identity to better reflect her uniquely uninhibited point of view. Working closely together, we created a hand-drawn and hand-printed mark, that incorporated her art and used a vibrant retro color palette. 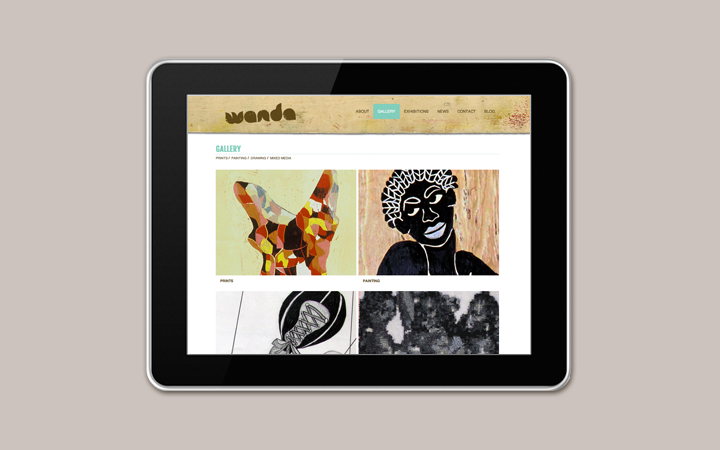 The new website was created to celebrate Wanda’s ever-expanding portfolio. Large, beautiful images with simplified categories make navigating her site very easy. And a new blog was added to the site to give her a chance to quickly share her new ideas, upcoming exhibitions, and work progress with the world. The new look truly celebrates Wanda the artist—and she is getting the attention she needs to move her art career forward.